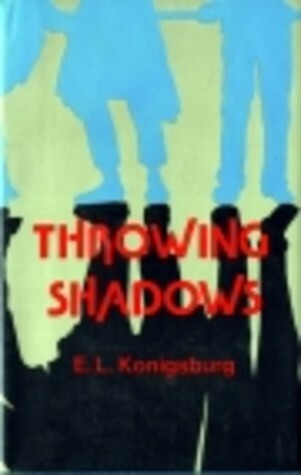 Throwing Shadows is a collection of short stories published by E.L. Konigsburg in 1979. Each story is told in the first person, from the perspective of a young person who, during his or her story, has a significant encounter with another person which changes his or her life. On Shark's Tooth Beach. Ned Hixon, son of Hixon of Hixon's Landing gets into a competition of sorts with President Bob, an older man who claims to be a former university president. They search for fossils of shark teeth all along the beach, and try to outdo each other in size, number, and uniqueness. The Catchee. Avery, an African-American boy, finds himself to always be the unlucky one who gets caught doing something wrong, or stuck in the middle of a misunderstanding. His older brother, who has noticed this special talent of Avery's, helps him to see its value. In the Village of the Weavers. Ampara, who is a tour guide for visitors to her native Ecuador, tells the story of her friendship and rivalry with an enterprising boy named Anthony. At the Home. Phillip tells of his experience listening to (and recording) Miss Ilona, a resident at a nursing home, as she tells the story of how being ugly saved her life. He also becomes a popular fixture at the home, as other residents beg him to hear their stories as well. With Bert & Ray. William pushes his mother toward a career selling antiques after dealers Bert and Ray teach her how to run house sales. This helps her to overcome the subservient attitude she developed before her alcoholic husband died. What really struck me more than anything else about this book was the diversity of the different narrators. Some authors sound the same no matter whose point of view they are writing from. Konigsburg's characters are as different from one another as any real people, and though these stories are just quick peeks into the worlds of these characters, the reader feels as if he/she gets to know each one in depth. Ampara and William have interesting accents, which help to differentiate their voices from the others', but even without those obvious markers, these characters are all so well developed there can be doubt that each one is a separate entity. I also really loved the way the stories fit together, not just thematically, but in certain details as well. The theme of a boy's voice changing appears in more than one story, as does business partnership between mother and son, and the notion of older generations passing on wisdom to the new. 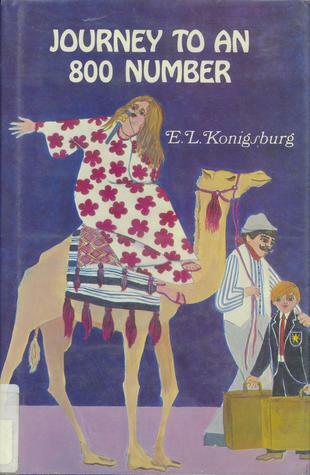 I especially appreciate how Konigsburg's stories aren't just about kids interacting with kids - rather, she spends a lot of time writing about kids interacting with the many adults who populate the world, outside of just relatives and teachers. These stories are very real because they focus on tiny slices of life that are both specific to an individual and universally applicable. I am in awe of this book, and I hope it remains in print so a new generation of kids can come to appreciate its brilliance. The Saturdays by Elizabeth Enright was originally published in 1941, and is the first book in The Melendy Quartet. The Melendy children - Mona, age 13, Rush, age 12, Miranda (Randy), age 10, and Oliver, age 6, live with their widower father, and a housekeeper named Cuffy, who serves as their surrogate mother. In this book, the kids, led by Randy, decide to pool their allowances each week, to allow one member of the family to spend Saturday doing something he or she loves outside of the house, and without any supervision. They form a club dedicated to this purpose, and name it the Independent Saturday Afternoon Adventure Club, or I.S.A.A.C. Each chapter of the book covers a different Saturday, as the reader follows each child to his or her chosen activity. The concept of this book is wonderful, and it's what grabbed my attention in the first place. But a good portion of it was spoiled for me because adults kept stealing the spotlight! At least two of the chapters digress into long-winded stories told by secondary characters the kids meet on their adventures, thus robbing me of the enjoyment of seeing kids on their own in the streets of New York City, something that would be just plain unsafe nowadays. I wished so much that the kids had actually been more independent. For the most part, I enjoyed the old-fashioned feeling of this book, and the writing style really appealed to me. The only thing that bothered me was that Elizabeth Enright was very fond of similes and metaphors, and after a while, I felt like I was tripping over them. I also thought they reminded me of the author's presence too often. Figures of speech cropped up no matter whose point of view we were supposed to be in, and they all sounded like they came from the same voice. The tail-end of the book is really great, though. Oliver gets a chance to have his own Saturday, and being in his six-year-old mind is a definite treat. I thought his story was the only one that fully lived up to the spirit of I.S.A.A.C. The Rainbow Magic books by Daisy Meadows are a popular series of chapter books about fairies. Parents have been asking me about them in the library recently, so I thought I'd read a few random titles to get a better sense of what they're about. The Rainbow Magic series actually consists of many smaller series, each focusing on a different type of fairies. Thea the Thursday Fairy is the fourth volume in the Fun Day Fairies series; Chloe the Topaz Fairy is volume 4 in the Jewel Fairies series; Danielle the Daisy Fairy is volume 6 in the Petal Fairies series; and Poppy the Piano Fairy is volume 1 in the Music Fairies series. The other series are Pet Fairies, Rainbow Fairies, Weather Fairies, Sports Fairies, Dance Fairies, Magical Animal Fairies, Ocean Fairies, Twilight Fairies, Showtime Fairies, and Princess Fairies. 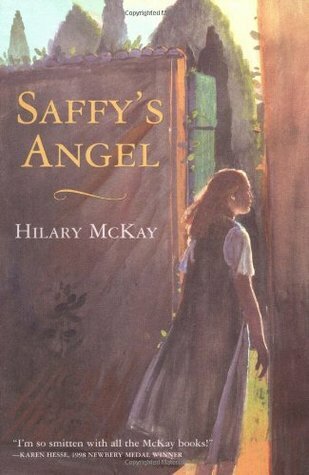 There is also a collection of books about Special Fairies for holidays like Christmas, and events like sleepovers. Some of the series are currently only available in the UK, but most are available in the US as well. Daisy Meadows is obviously a pseudonym, but not just for one person. There are five authors who write the Rainbow Magic books: Narinder Dhami, Sue Bentley, Linda Chapman, Marilyn Kaye and Sue Mongredien. The author of a particular volume is always thanked in the dedication at the start of the book. The books are illustrated by a British woman named Georgie Ripper. According to Amazon.com, she has also illustrated two picture books of her own - The Little Brown Bushrat and My Best Friend Bob, as well as A Dog Called Whatnot written by Linda Newbery . The books follow a very specific formula, so if you've read one, you have a general idea of what will happen in all the others. In volume 1 of a particular series, Kirsty and Rachel, the human main characters of all of the series, are informed of a crisis in Fairyland. They travel to Fairyland to investigate, and learn that Jack Frost and his goblins have stolen something of value from the fairies (jewels, flower petals, musical instruments, etc.) The girls spend the second half of book one recovering the first of 7 items. In the other 6 volumes of that series, they continue finding the magical items while doing ordinary, everyday things such as picnicking with their parents, buying a Halloween costume, or visiting the aquarium. The books don't have to be read in order. Each volume in each series recaps the events of the books preceding it so the reader always knows where she is in the action, what Kirsty and Rachel are searching for, and why. The story isn't complete, however, at the end of just one volume. The resolution of the various plots only comes from reading an entire set of 7. Books in the middle of each series don't really come to satisfying endings. There is no backstory on why Kirsty and Rachel have been chosen as the fairies' friends. That drove me nuts, but it's just kind of an accepted fact among the fairies and the girls. There is something for every girl in this series. The fairies are diverse in terms of looks, style of dress, and interests, and while the formula felt very forced and obvious to me, the many, many circumstances in which Kirsty and Rachel find themselves are bound to appeal to girls who wish for a little fairy magic in their own lives. I really think only a child can appreciate books like these. I sped through them with the sole intention of getting through the book quickly so I could move onto something else, but I know many 6- and 7-year-old girls who read with urgency, dying to know how this adventure will end, and anxious to find whichever book comes next. These books are not great literature by any stretch of the imagination, but these authors - and Scholastic - definitely know how to give kids what they want. The Worst Witch is a children's chapter book originally published in the UK in 1974. I first learned of it from the BBC television mini-series called Picture Book, which spotlighted various children's books that have built the foundation for present-day children's literature. 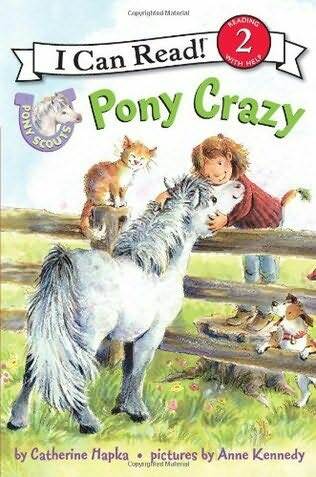 The show pointed out that this book was unique because it put a fantastical twist on the typical school story. Throughout the book, Mildred has a variety of mishaps, including turning a classmate into a pig, accidentally creating an invisibility potion, and ruining the class's broomstick formation performance. After realizing that this third accident was actually orchestrated by her rival, Ethel, Mildred decides to run away. While out in the forest, however, she stumbles upon a secret threat to Miss Cackle's Academy and must decide what to do with that secret information. This book has many, many parallels to the Harry Potter series, to the point that if it was published today, we might label it a copycat. It's hard to say, in a post-Harry Potter world, whether this book would have been considered especially creative when it was published, or not. I certainly think kids who have read Harry Potter, and are accustomed to a lot of action in their fantasy books would probably not be as thrilled by this one. But I also think the change in setting from typical elementary and middle schools does make this a unique read. 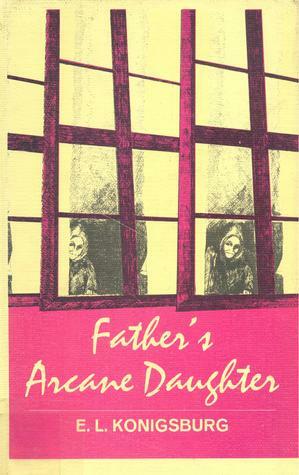 There are a lot of books about tween girls dealing with awkwardness and striving to fit in with their peers, but few of them written for this age level take place in other worlds, where magic is also a part of that struggle. I would recommend this book especially to fans of the Araminta Spookie books, and other books about otherworldly girls. It also made me think of Deborah Hautzig's Little Witch books from back in the 1980's, (which were apparently illustrated by Marc Brown!) though it doesn't seem like many of the titles I loved are in print anymore. It would also make a really good interim read for kids who want in on the wizard craze, but just aren't ready for Harry Potter yet. Parents often ask me for HP read-alikes that are short and easier to read, and The Worst Witch definitely fits the bill.